This is a guide on how to find virtually every affiliate a website has. You could use that to find prospective affiliates to work with for yourself, see affiliates that have success and reverse engineer their methods or whatever. First step is to obviously choose a website you want to research. 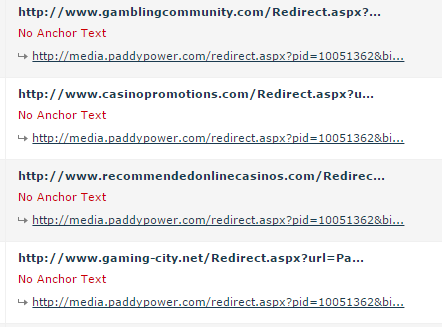 For this example, I’ll use a popular betting and casino site. After that, using either Majestic or Ahrefs, have a look for any “affiliate footprints” – URLs linking in that look like they are affiliate tracking links. Probably an old system and a new system. If you’re struggling to find footprints in the link profile, run a quick google search. “[Brand/Product] Review” usually does the trick. There be footprints. Make a note of all that you find. All look like affiliate sites to me. Now, you could find all the affiliates you need that way, but obviously when you’re doing this in bulk on huge websites, (45k referring domains, for example), that’s not gonna work. So here is how we do it in bulk. First, download your Majestic report (fresh or historical index, whatever you fancy). Yeah, this will happen. Excel has a line limit of about 1,000,000 lines, so when it tries to open files larger than that, it will break. You can still access the file, but you won’t get all of the data that you want. Once ready, open up one of your files. 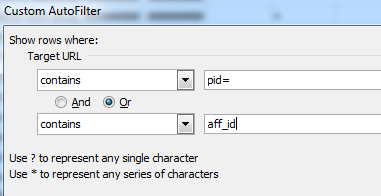 Dig out the footprints you had before – for this example, I’ll use the “pid=” and “aff_id” footprints we found earlier. You’re rolling son. If not, try another one of your files. If you still have nothing, you fucked up with your footprints somewhere. Time to make sense of these results. For me, all I’m interested in is the root domain of the affiliate website. You could find every single URL if you want to, but in this run-through I’m just going to take out the root domain of each affiliate website and later one we will qualify that list. Find all “www.”’s and replace them with blanks. Basically, you’re trying to strip all the URLs down to root domain level. 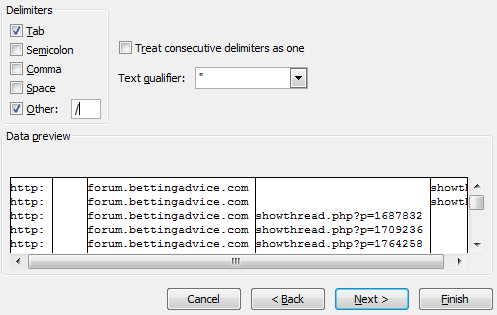 We want to do this so that it is both a) easier to remove duplicate and b) easier to prospect the domains later. And that’s it. You’ll now have a raw list of root domains that have linked to the source website with an affiliate link. Rinse and repeat this for however many files you have. Make sure you de-dupe your ‘master list’ again. You could leave at that with your big list of websites, but wouldn’t it be better to know the better websites in the list? You could run an Alexa check in Scrapebox, but that isn’t the best indicator. 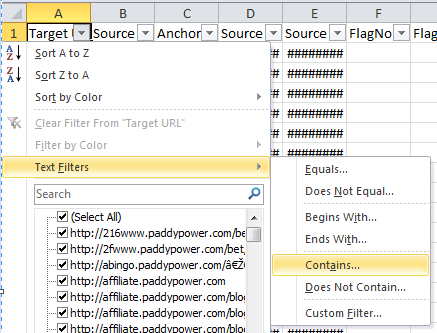 So what I like to do is to use the SEMRush API in the URL Profiler tool. This will give you, among other things, the SEMRush traffic score for all the domains in your list, including their organic and paid traffic. Generally, the higher the traffic, the more active the affiliate is. By no means the ultimate test, some lower traffic sites might be gold mines, but a good starting point. 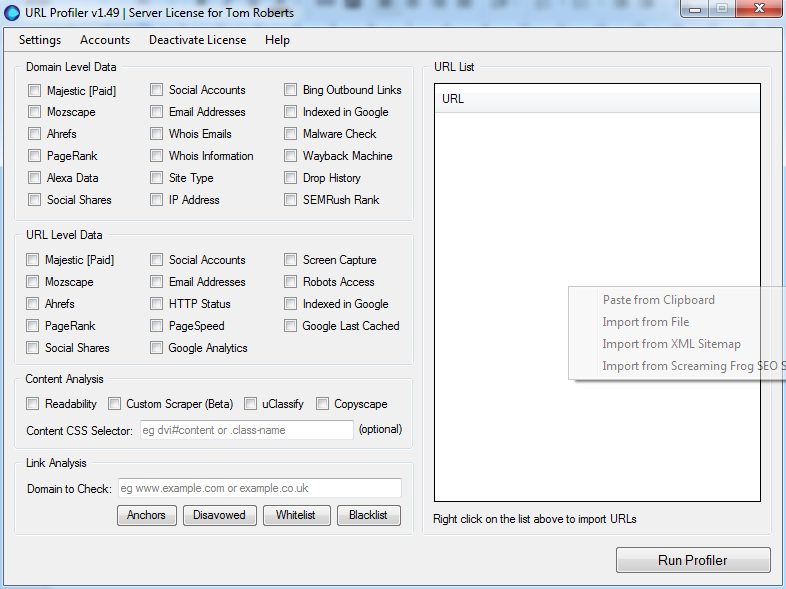 You can ask URLProfiler to check the root domain’s score in a number of different domains. 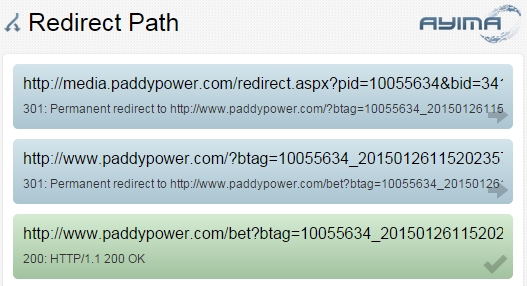 Leaving it to the TLD is fine, but say, for Paddy Power, you only wanted to focus on affiliates getting UK or DE traffic, you could do that too. May take awhile depending on the size of your list. I’d highly recommend the Server or Agency plan on URL Profiler for this. It does a ton of other stuff as well – it’s an invaluable tool for me. When done, you will have a complete list of affiliates which you can then sort and filter by SEMRush rank, Majestic TF/CF, Majestic Topical Trust (nice to single sites down by category) or whatever you like. Hope it helps a webmaster or two. 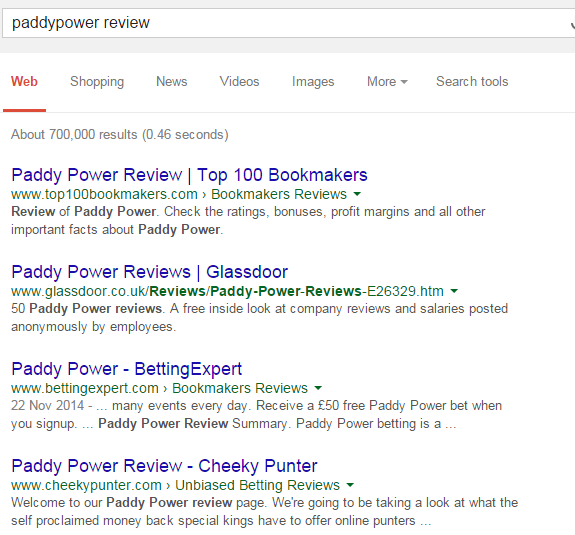 PS – You didn’t think I’d do all this and not share with you the Paddy Power affiliates, did you? Good stuff bro, shared on Twitter, massive social signals flowing to you now. 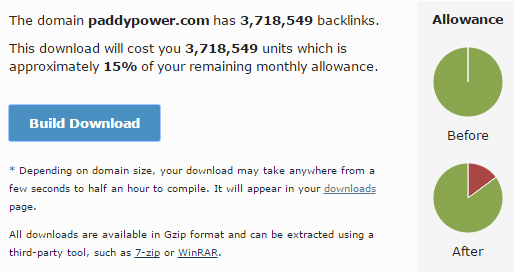 Only problem is if they are using an affiliate network for the links. Thanks for the guide Tom really useful, great for a first post, looking forward to your future content. Agree with you on using Majestic over Ahrefs. I started trying to do this with ahrefs but it was a pain in the back. (As they were using an affiliate network) Ahrefs wasn’t giving me any data. Put the same footprint into majestic & bam job done in a few mins. Also just to let you know I came to you through Jacob’s huge social signals, will be sending you some social love too.